October 15th is Global Handwashing Day. ITS is joining the over 200 million people in over 100 countries who are taking steps to ensure a healthy and productive learning/working environment by raising awareness to the benefits of handwashing and promoting ways to practice good hygiene when using shared computers and electronic devices. There are also steps that you can take to avoid getting sick and spreading germs to others. Global Handwashing Day is an internationally celebrated day to promote good hygiene through handwashing with soap. 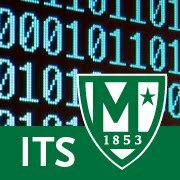 At Manhattan College, we are doing our part to extend the concepts of Global Handwashing Day and apply them to the ways that we operate in ITS and handle electronic devices and computers. http://support.apple.com/kb/HT3988 - "How to disinfect the Apple internal or external keyboard, trackpad, and mouse"
http://abcnews.go.com/Health/Germs/story?id=4774746 - "ABC News - Your Keyboard: Dirtier than a Toilet"